KPD Warder Jailor Recruitment 2018 - Get Complete details, imporant dates etc. 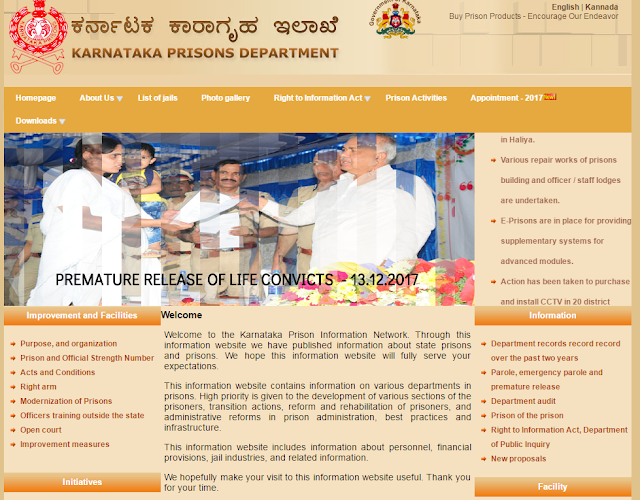 KPD Warder Jailor Recruitment 2018 - Karnataka Prison Department has released Online officially Recruitment notification for the Post : Warder, Jailor. Check below complete details of posts, fees, important dates eligibility etc. Note: Application Fee can be paid through challan at SBI or Post Office for Warder, Jailor Posts. Warder- Rs.11600-21000/- & for Jailor- Rs.17650-32000/- per month. For KPD Warder Post - Minimum SSLC /10th pass or equivalent and for Jailor Post- Candidates sholud hold atleast Bachelor Degree from a recognized university of india and Bachelor Degree in Psychology /Criminology/ Correctional Admistration will be preferred as per notification. Process to to Apply for Warder & Jailor Posts: – The Interested candidates may apply online through the official website of KPD. Mode of Examination: - Selection will be on the basis of Written Exam, ET &PST & Viva Voce.